IRP 2018: Too little, too slowly for energy transition? 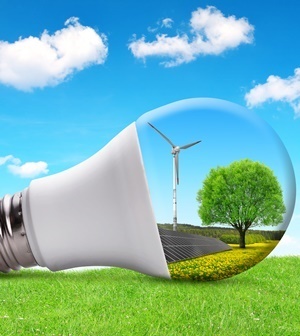 The Department of Energy is to be commended on a draft Integrated Resource Plan (IRP) 2018 that is a significant improvement on its predecessor. These improvements include the increased allocation to renewable energy, the revised demand forecasts, the phasing out of coal and the pursuit of the ‘least cost option’ which rules out nuclear at least until 2030. However, some fundamental strategic concerns remain. The lack of long-term, strategic thinking underpinning the document is cause for worry. This relates to failure to acknowledge that coal mining is a sunset industry in South Africa that has been shedding jobs for years, and a sector that is facing challenges and crises due to increased costs, energy security risk, export demand risk, and low local demand risk. This is not a uniquely South African phenomenon. New investment in coal is attracting negative sentiment worldwide and coal is increasingly unattractive to global investors. Earlier this month, World Bank President Jim Yong Kim pulled out of a 500 MW power plant in Kosovo, saying that the World Bank’s rules required them to "go with the lowest-cost option, and renewables have now come below the cost of coal ... so without question we are not going to [support the plant]". The IRP 2018 does not factor in the profound shift in global investment from coal towards renewable energy, and fails to provide us with an ambitious pathway away from coal and other fossil fuels. Falling behind the global renewable energy transition has far-reaching implications for South Africa’s ability to remain relevant and competitive in global markets. To remain competitive, South Africa should factor in the following four globally interconnected shifts in an IRP: the declining cost of and increasing investments in renewable energy technologies; energy transition preparedness amongst countries; climate change imperatives; and, the decline of coal. Renewable energy is, increasingly, cheaper and more financially attractive. In 2017, a record 157 GW of renewable power (excluding hydro) were commissioned globally compared to the net fossil fuel generating addition of 70GW. More capacity addition was made in solar (98 GW) than in coal. Investments of $279.8 billion were made globally in renewable energy. Just over half of these investments were in China, Brazil, and India. Apart from diversifying the energy mix, these investments also support increased renewable energy technologies manufacturing and job creation. Essentially, progressive countries are preparing the groundwork for an energy transition away from coal to attract new investments, strengthen competitiveness and harness the limited raw materials required to manufacture these clean technologies. The World Bank estimates that limiting global temperature rise to 2°C above pre-industrial level would mean that demand for key metals needed for producing wind technologies would increase by 250% and for solar photovoltaics by 300%. Policy decisions are expected to trigger cost reductions in renewable energy technologies and simultaneously increase the competition for raw material needed to produce wind and solar power. Unfortunately, South Africa is ill-prepared for these changes. According to the Energy Transition Index, we are ranked 113 out of 114 countries in terms of energy transition preparedness. The Index argues that given the high level of uncertainty involved in the energy sector, countries must build in flexibility within their electricity systems. Here, on a score of 0-100, South Africa scores a meagre 0.5 – making it the least flexible electricity system in the world. Any large-scale, single-point source investments in our energy infrastructure will further reinforce this inflexibility. Already the World Energy Council (WEC) in its Energy Trilemma Index 2017 placed South Africa as one of the four countries on its negative watch list – meaning it is one of the countries "likely to experience significant [negative] changes … in their trilemma index performance in the near future". A fundamental consideration for a country’s future planning in all economic sectors today is the threat posed by climate change. Early this month, the Intergovernmental Panel on Climate Change (IPCC) released its special report – Global Warming of 1.5°C. Using the latest science, the report stresses the need for supporting economy-wide transformation by means of just transitions that enable us to remain consistent with a 1.5°C world. To remain competitive and comply with its international climate obligations in terms of the country’s international commitments through its Nationally Determined Contributions (NDCs), South Africa needs to move away from coal in the electricity sector and the liquid fuels sector fast and at scale. A recent report, "Coal Transitions in South Africa", indicates that any new coal-fired power stations will not be consistent with the lower range of South Africa’s NDCs. Moreover, including new plants or extending the lives of older plants in the IRP, will not only prevent achieving the low range of the Peak-Plateau-Decline trajectory (398 Mt CO2-eq in 2025-2030), but has the potential to raise greenhouse gases to a level that exceeds the upper range of the NDC in 2025. New coal also poses a large financial liability, including the two new coal IPPs in the energy mix, which will increase the net present value of the total system costs by R20bn. As it is, South Africa’s NDCs international commitments are not enough. An important policy decision to align them with our fair share would be not to make any new investments in fossil-fuel technologies and rather increase investments in renewable energy. Although the draft IRP could bring it close to meeting the upper range of its 2030 NDC target, South Africa’s NDC target still remains "highly insufficient". The country has to adopt more ambitious targets to achieve a just transition such as ramping up renewable energy capacity substantially, both until and beyond 2030, phasing out coal, substantially limiting natural gas use by 2050, as well as work on improving efficiency in all economic sectors. If these measures are not urgently incorporated in the IRP, South Africa will become increasingly uncompetitive, unattractive to foreign direct investment and increasingly isolated both within and beyond the energy sector. Continuing to remain invested in coal will not only entrench inflexibility in our energy system, but will also be a lost opportunity to send positive signals to institutional investors who are already starting to make "partial or complete divestments" from coal in light of potential reputational damage. The future is coming, whether we are prepared or not. And as the findings of IPCC’s special report on global warming of 1.5C underline – we had better be prepared.